Volcano High is a reboot of every coming-of-age story about a martial arts prodigy but this time around, it is coupled with an exaggerated depiction of Korea's stringent educational system. The film has become somewhat of a cult classic that has heralded a new breed of martial arts school dramas. There are quite a number of works in this underrated sub-genre, of which recent k-drama Moorim School serves as the latest addition. 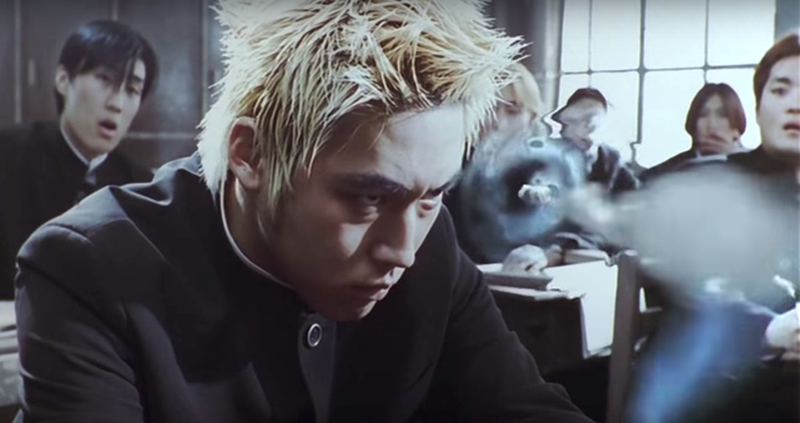 I see plenty of similarities in both from the main guy's bleached blond hair to the foreshadowing of an immense power, which enticed me to re-watch Volcano High and it is still as enjoyable if not more thanks to a thing called nostalgia. 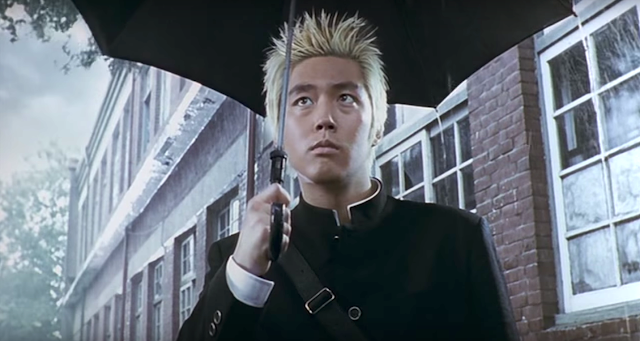 Volcano High was released in 2001 starring top Korean actors of today such as Jang Hyuk, Shin Min Ah, Kwon Sang Woo and Gong Hyo Jin who were in their teens or early twenties when the movie first came out. Plot Summary: Volcano High / Hwasango / 火山高校 / 화산고 is in essence a school for the gifted. During a time when the schools are in a constant state of chaos, teachers and students participate in a never ending fight for supremacy and it is said that whoever acquires the Secret Manuscript can put a stop to the discord. The story revolves around Kim Kyung Soo, a problem student who has been expelled from over eight schools and sent to Volcano High as a last resort. Contrary to common perception, Kim Kyung Soo is actually a kind-hearted kid who is generally non-confrontational if not for a freak accident that changed his life. As a newcomer, he attracts the unwanted attention of the school's most powerful clans where he must fight to survive. If you like anime, wuxia or just action movies in general, then I highly recommend Volcano High. Jang Hyuk's character as the new kid on the block is hilarious from his every gesture to his nuanced expressions, which he manages to pull off with style. I really enjoy his comedic timing, over-the-top without going overboard. As the protagonist, his journey towards becoming the hero that he is meant to be is engaging because it is metaphoric of every man's struggle in overcoming their own insecurities. The rest of the cast does an equally amazing job bringing their respective characters to life. I will never forget Icy Jade Chae-yi, hot-headed Jang Ryang and the epitome of hotness Song Hak Rim. Not to be left in the cold are the band of evil teachers because I loathe them and that's a good thing. I like the darker tone of the film and thought that the dimly-lit scenes meshed well with the overall vibe. After all, in spite of its ability to not take itself too seriously, the movie is still a martial arts flick where the stakes can be life and death. This is a film that is one for the ages, executed with flair and too cool for school. For more movie recommendations, click here. Because I couldn't resist, a movie recap is in the works.